This 2001 Hallmark ornament makes an adorable set with the 2001 Hallmark Raggedy Ann ornament which I also have listed. Mint in mint box, never used. NEW, in mint box, never used. 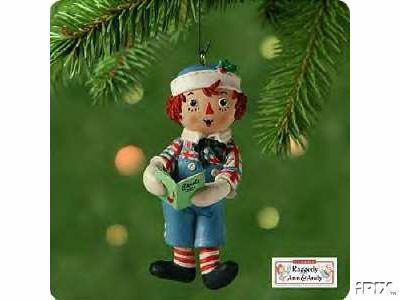 Items Similar To "Raggedy Andy Hallmark 2001 ornament"